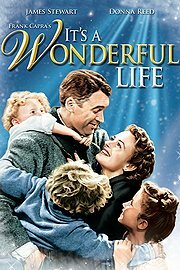 The one thing that surprises most who have enjoyed It’s A Wonderful Life over the years is this: When it was first released in 1946 it was considered a major disappointment, and yet today for many, Christmas would not be complete without seeing at least one showing of this crowd-pleasing film. The original story upon which it was based, The Greatest Gift by Philip Van Doren Stern, began life as a Christmas card. No one was interested in publishing the story so the author attached it to a seasonal greetings card and mailed copies to family and friends in 1943. 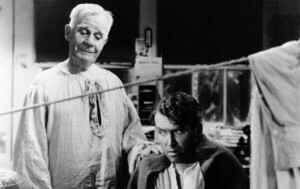 However, the story was passed around and eventually fell onto the lap of RKO Pictures producer David Hempstead who intended to develop the project into a vehicle for Cary Grant. Grant would go on to make The Bishop’s Wife instead, leaving the central role of George Bailey up for grabs. 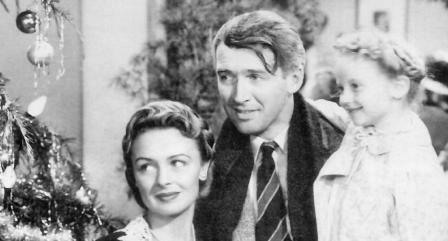 Director Frank Capra was handed the script to develop and began assembling his cast. Henry Fonda is said to have been in the running for the part of George, but it was James Stewart who eventually landed the role. As for Stewart’s leading lady, several famous names were considered, including Olivia de Havilland, Martha Scott and Jean Arthur, but it was Donna Reed who won the part. Because of its enormous popularity today, it’s hard to imagine that on its initial release the film struggled to find an audience. 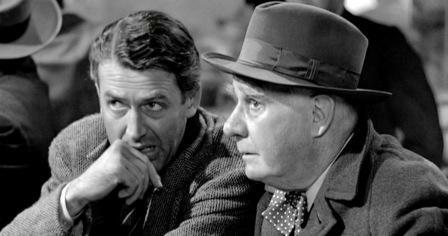 Reviews were generally less than stellar, and one industry insider reports that in 1947 the FBI became interested when it was asserted that the film was really Communist propaganda – it made the banker, Mr. Potter, the villain of the story.